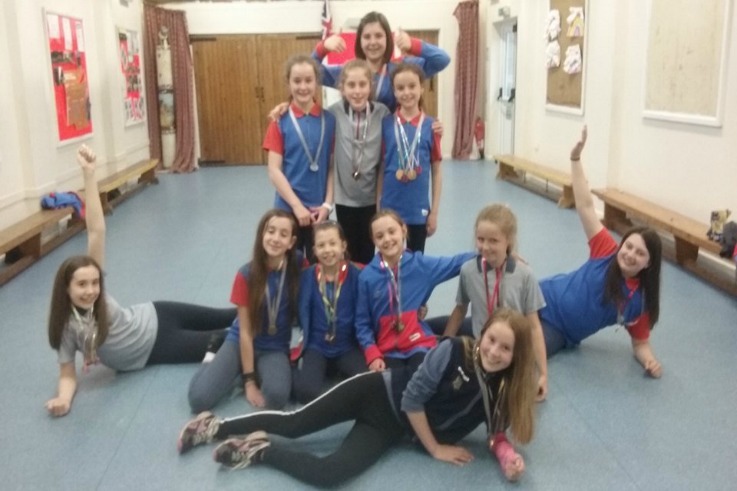 Shawbury guides had a sports day last night. The girls partook in a variety of races, including egg and spoon, welly wanging, obstacle race, wheelbarrow racing, piggy back race, three legged race, relay and skipping. The girls are pictured here with their medals.